Day Seventeen of 21 days of random acts of kindness. Join along in the challenge to get out of our heads and into helping others. Every act of kindness grows the spirit and strengthens the soul. Day seventeen of random of kindness happens to fall on RAK day – the official Random act of Kindness day. Today, we filled sandwich baggies with assorted candy. 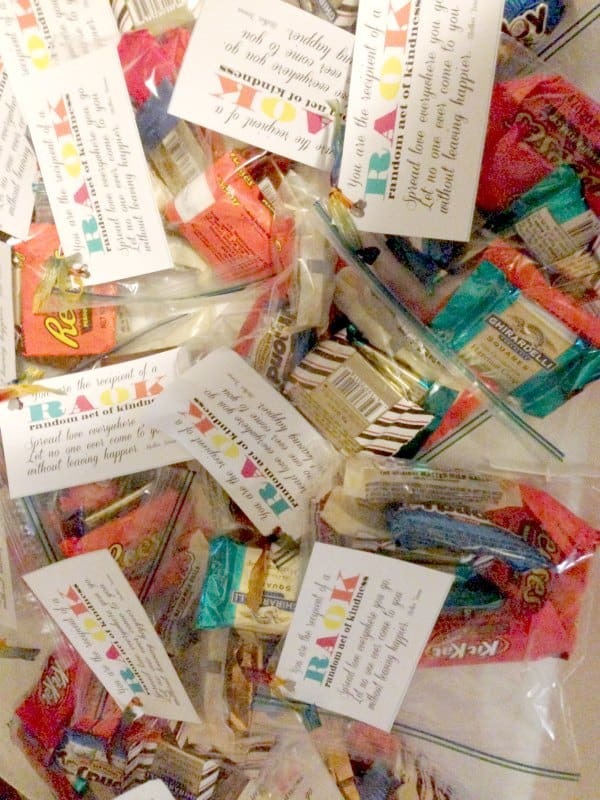 We then attached tags to the baggies announcing the candy was a random act of kindness and to pass it on. 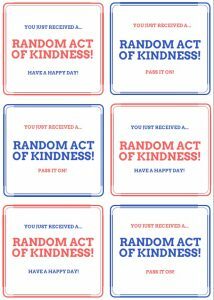 Get your printable Random Act of Kindness tags to attach to the baggies for free from the resource library. 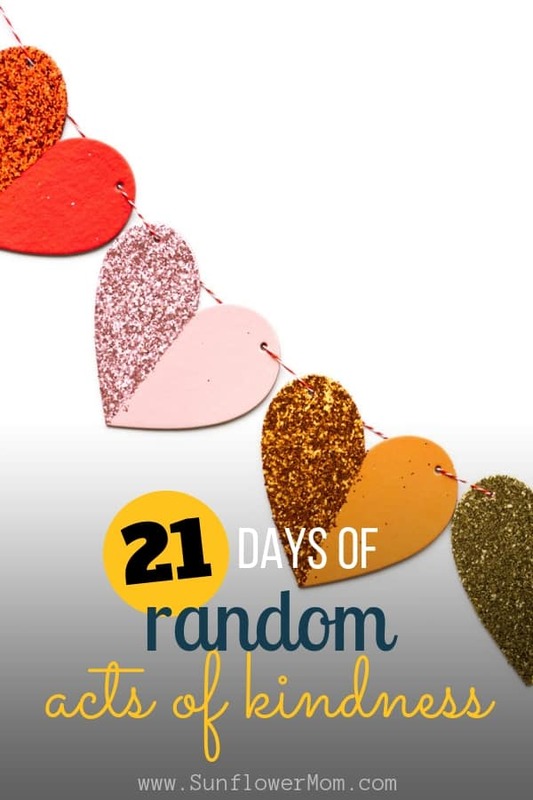 What random act of kindness did you do for Day Seventeen?